HOUSTON (August 4, 2016) - The Houston Marathon Foundation (HMF) announced today that Abigail Smith of Seven Lakes High School and Nicolas Terrazas of Stratford High School were named recipients of the Susan Poorman Blackie Scholarship. The two stand-out students and former high school runners will each receive a $5,000 scholarship grant annually for four years, totaling $20,000 in financial aid toward their college tuitions. 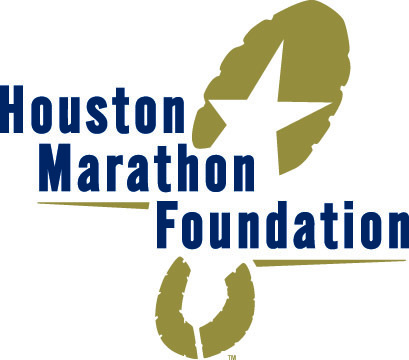 The scholarship was created in honor of Susan Poorman Blackie, co-founder of the HMF and long-time Houston Marathon Committee volunteer board member. The Susan Poorman Blackie Scholarship is designed to recognize student-athletes in the Greater Houston Region who have demonstrated academic success, participated in high school cross country running, volunteered for extracurricular activities and applied to attend a college or university in the state of Texas. "The HMF selection committee did an outstanding job identifying two wonderful student-athletes from this year's class who exemplify the character and good will that was the essence of the wonderful person for whom this scholarship was named," said Wade Morehead, Executive Director of the Houston Marathon Committee and Foundation. "Susan Poorman Blackie played an impactful, significant role in the lives of so many in this community and within our organization; it is with great pride that we award these scholarships in her name." A 2015 Aramco Houston Half Marathon finisher, Smith was a varsity member of the track and cross country teams and was a member of the school record-setting 4x800m and 4x1600m relay teams. She also was the volunteer communications director for Achilles International - Houston Chapter, where she handled the social media channels and website for the organization. Smith will be attending Baylor University - Honors College. "Abigail is such a wonderful asset to Achilles Houston and we are so proud to call her a friend," said Bernie Tretta, Executive Director of Achilles International Houston. "She is full of light and always smiling. She was instrumental in helping get Achilles' newsletters, social media sites and website off the ground, plus she always brought her positive attitude along for the ride. We wish her the very best of luck in college and beyond." Terrazas, who graduated first in his high school class, will be attending Rice University where he will be a walk on to the cross country team. He ran varsity cross country and track all four years in high school and won the UIL XC Team State Championships his sophomore year. "Nicolas is a great student-athlete," said Stratford High School XC Coach Tony Brillion. "He was very dedicated to helping his team be champions." For more information on the Houston Marathon Foundation, visit houstonmarathonfoundation.com. Founded in 2008, the Houston Marathon Foundation is committed to support the advancement of running as an element of a balanced, healthy lifestyle in the Houston community and nationally. The national focus of the organization is dedicated to promoting and improving the sport of distance running while locally, the organization supports running related program and community needs that will improve and create effective health-based initiatives. Additionally, youth programs and after school running programs provide coaching, support, guidance and opportunity to over 1,000 Houston area students annually who would otherwise have few or no fitness opportunities and many of whom participate in the annual Houston Marathon Committee weekend events.